4K HMI Lighting | NDstudios, Inc. 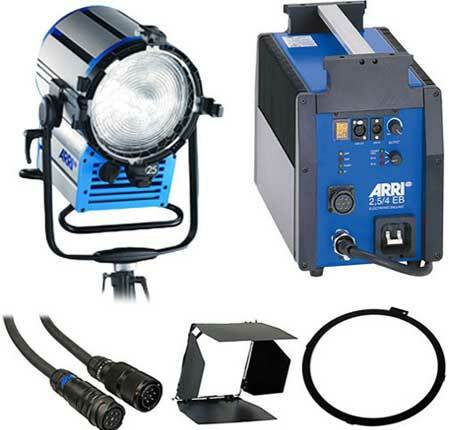 The ARRISUN 40/25 2.5/4K HMI PAR is a location work horse. Whenever you need to punch light through a silk or bounce light off a reflective surface, an ARRISUN is the ultimate answer. At the design stage, the interaction of lamp, reflector and converter lens was taken into consideration and computer simulated, resulting in unmatched performance. The 40/25 can be fitted with a 2,500 or 4,000W single-ended HMI lamp, making it a very versatile lighting fixture. A wide range of converter lenses ensure maximum beam control in all situations.